Even the most serious of Scrooges will admit that there is something really magical about snowfall at Christmas time. Unfortunately, we’re never guaranteed a proper dumping of snow here in the UK. 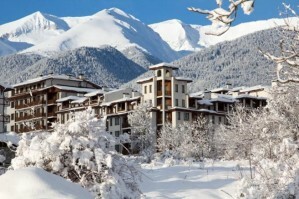 So book a chalet with us and have yourself a very merry, white Christmas. 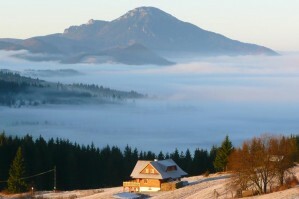 This apartment is located above the town of Bankso, at the edge of the Pirin National Park. It’s a mere skip and a jump to the nearest home ski run, and has two balconies so you can stare in awe at the mountain and valley views. 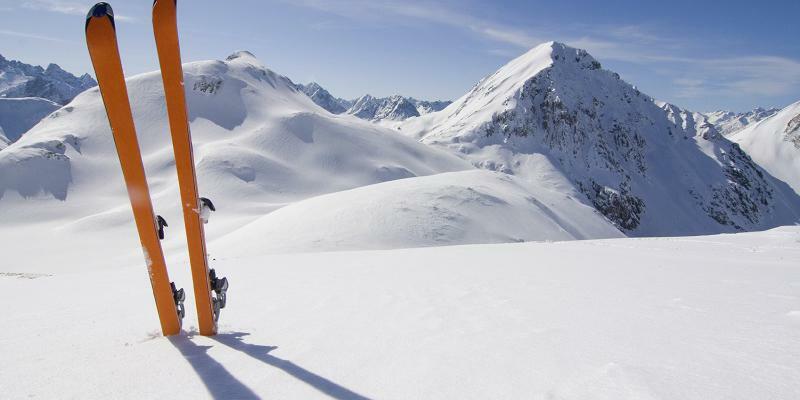 Bulgaria is one of the best locations for a cheap ski holiday, but its reputation for snow activities is improving year on year – so take the opportunity now before prices rise! If skiing isn’t your thing then there are plenty of things to keep you occupied. You can take a stroll through the picturesque old town, dominated by the church’s beautiful bell tower, with narrow cobbled streets and quaint old buildings. There is plenty of nightlife, especially of the après-ski variety. 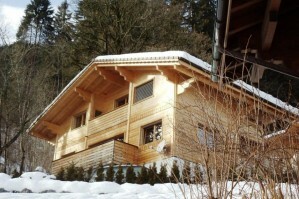 This peaceful alpine retreat is located on the side of the Chamonix valley with breath-taking views of Mont Blanc. Les Houches ski lifts are a 5 minute drive away whilst a bit further down the valley is Chamonix, definitely one of the more luxurious ski areas, where it’s not uncommon to spot a celebrity or two. If charm is what you’re looking for in your winter wonderland, then Austria is perfect. 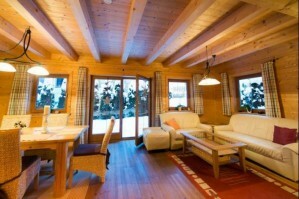 These newly-built wooden chalets are extremely cosy, not least because of the underfloor heating. The owner of this property can sort out ski passes for you in advance, so you can get straight to the slopes and sing The Sound of Music across the mountain tops. If you have little ones that aren’t (yet) seasoned snow-bunnies, then book yourselves into a family igloo-building course at the Wildschönau Tourist Office. Zweisimmen is a traditional Swiss village in the heart of the Bernese Oberland, surrounded by beautiful views. The village has all the amenities of a large town but retains a traditional atmosphere. It has a ski lift up the local Rinderberg mountain which connects with the vast Gstaad piste area. The Gstaad ski area is full of traditional mountain restaurants and throughout the season there are snow park events, ski cross and night skiing for the more adventurous. Although the area is not renowned for its après-ski there are few traditional bars dotted around the ski slopes with the highlight being a winter igloo serving mulled wine at the top of Sannenmoser. There are plenty of traditional Swiss restaurants around Zweisimmen including the infamous Wildhorn Hotel where you will find yodelling and delicious fondu. A cocktail in the Gstaad Palace is also a real treat of an evening. Slovakia might not seem like the obvious location for a winter wonderland, but you will be pleasantly surprised by the High Tatras’ pristine snowfields and undulating pine forests. This idyllic wooden chalet has stunning views, is beautifully furnished, and has all the components for a cosy Christmas – including a fireplace and underfloor heating. Cross-country ski trails and dog sledding tours are available just next door, so you can try something new!